As a Spinal Touch Specialist, my focus is to help you to regain good posture through a gentle technique, and in that realize less pain, balance and positive health changes in your whole body. Spinal touch is something I've experienced personally and found it worked to realign my body when it has been "bent out of shape". Teresa is exceptional in her technique, care and professionalism. Teresa's business Hand to Health offers everything you need for a body that feels great and is healthy. ~Cora P.
Often people are in a state of deep fatigue caused by chronic pain conditions. The primary focus of a Spinal touch session is to create health and balance on all levels. Spinal Touch is a soft tissue, non-manipulative, non-force, mechanical form of holistic therapy that assesses your posture to determine if there is any distortion occurring and then, corrects any distortion using a very gentle treatment. Most clients notice an immediate benefit in reduction of pain and a feeling of balance. Spinal Touch (also know as BioMechanic technique) is based on the premise that the sacrum (the “sacred bone”) is the balance point of the body, our vulnerable centre of gravity. Centre point of our skeleton’s structure, the sacrum supports both the pelvis and the spine and the 8 major muscles that attach to it, and in turn attach to all other points in the body. When in its natural and normal alignment our amazing human body runs like that of a well tuned car. We are designed to maintain good health under a state of constant gravitational pull. We enjoy movement without pain, optimal function in all of our organs, energy, vitality and the innate sense of well-being that is our natural state. Our parts and organs naturally interact not only with each other but also with the Earth’s gravity pull. Consider your amazing body and then think about the stress and strain your being is overloaded with, on both mental and physical levels, day after day…it might make you pause a moment. Our bodies can take a pretty heavy load when in optimum condition and continuously adapt to keep up with our demands. 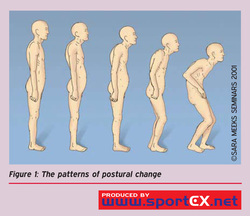 But over time that heavy load changes our body’s normal centre of gravity, the sacrum. We lose the proper balance between the parts of our body and gravity, experiencing distortion in our posture and pain in our body. Through adaptation, our body begins to compensate. The head and shoulders slump and roll forward and the rib cage and diaphragm sink, crowding the heart, lungs and digestive organs. As we continue to overload ourselves that posture puts increasingly greater pressure on our internal organs, bones and muscles creating problems with headaches, back pain, fatigue, neck pain, knee pain heart and lung problems, poor digestion, dizziness, fluid retention,etc. Eventually our body is unable to continue adapting and so pushed beyond its elastic limits we experience pain, distortion, fatigue, illness and eventually death. Spinal Touch is a gentle holistic technique that can help our posture, back the body up from distortion, improve posture for ultimate vitality in all body functions.